I still had some gemsbok shin from last year. Started out with this allrecipes beef curry recipe, which ended up a bit watery — but that worked out fine, since I ladled all the liquid out of the slow cooker into a pan, and cooked some pumpkin in that, then added it all together. So this is what you do. Get hold of some gemsbok shin. Or whatever. Cut into cube-like shapes and brown in the oil (with a lean meat like game you need to keep adding oil, don’t worry, it’s good for you). Meanwhile, slice an onion (or two if they’re small) into rings and put that in the bottom of your slow cooker. Put the browned meat on top, season with salt and pepper. Cook two cloves of garlic, a teaspoon fresh ginger, and a chopped green chili for a few minutes, then add your curry powder (I used two tablespoons hot and one tablespoon extra spicy, but I suspect my hot curry isn’t, your mileage may vary). Add a tin of chopped tomatoes. At this stage the recipe calls for stock, I mixed in two heaped teaspoons stock powder and added some water. Same thing. Spoon the mix over the meat, leave it to cook overnight. If you use a slow cooker often, you’ll know that you need to add very little liquid. True, but for this recipe a bit more liquid is good. Because this is where you ladle off as much liquid as you can and cook about two cups of diced pumpkin in it until tender. And then you add the pumpkin back into the curry and serve. Easy and pretty damn good. You probably want some rice on the side, sambals and raita can be good, poppadums always are. They’re making a TV version of Fred Pohl’s Gateway, otherwise known as the Heechee Saga. I grew up on this stuff. I sure hope they don’t stuff it up. Stellenbosch, 1987. 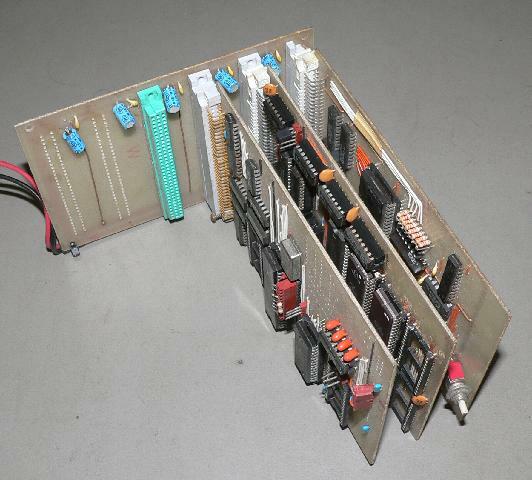 I built this 68000 computer, with 64 kilobytes of RAM and space for three times that much ROM. That’s infinitesimal in today’s terms, but at the time my “personal computer” was an Apple ][ with 64 kilobytes of RAM and 16 kilobytes of ROM, running at 1 MHz. The Apple ][ is an 8-bit computer and my 68000 is a full 16-bit computer, which runs at 8 MHz. Also, I had plans to expand my RAM by at least 256 kilobytes or so. I’m typing this on a 64-bit computer with 8 gigabytes of RAM running at Idunno, 3 1/2 GHz or so. The 68000 is more fun. Here’s a picture of it. The picture itself is about 43 kilobytes in size, so it would take up about two thirds of my 64 kilobytes of RAM. But there would be no way to display it because I never implemented graphics (and state-of-the-art graphics at the time was VGA at 640×480 in 16 colors). Here’s a picture of the three boards — processor at the top left (note the huge 64-pin DIP package that is the 68000), memory at the bottom, I/O on the right. It’s pretty close to 64 kilobytes. Here’s what it would have looked like in 16 colour VGA. This memory brought to me by the guys over at Hack A Day, who are building something very similar but with some very modern twists. 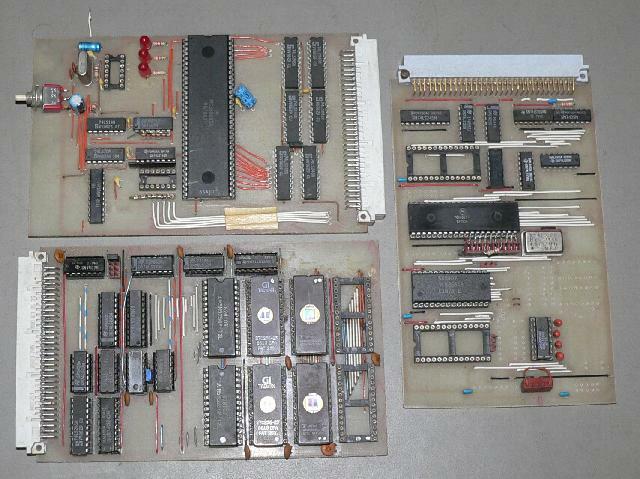 You can learn a whole lot more on how to build 68000 systems by going through Peter Stark’s 68000 Hardware Course, as well as from this S-100 68000 board project. * One of my favourite songs, from 1972. No, not the one where you find a corpse and drop it off the coast of Spain. This is the one where you find a container full of gemsbok intended for biltong at the bottom of your freezer, and realise that half of it is a bit chunky and / or stringy, and that mincing it would be a better idea. 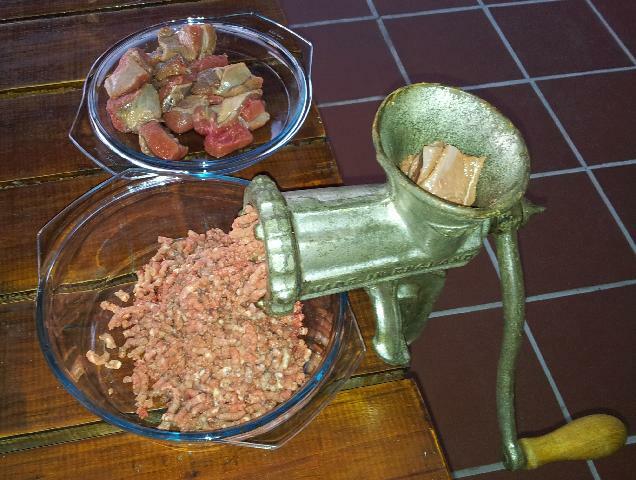 Enter a handraulic meat grinder, originally acquired to mince perlemoen in the pre-poacher days when we still had perlemoen. I’m going to end up with a right arm like a teenage boy.